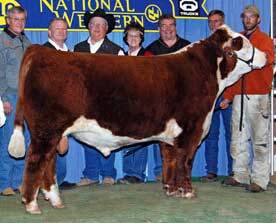 The 2010 NWSS Grand Champion Bull. His dam is powerful with proven maternal genetics. He's ultra complete and massive.